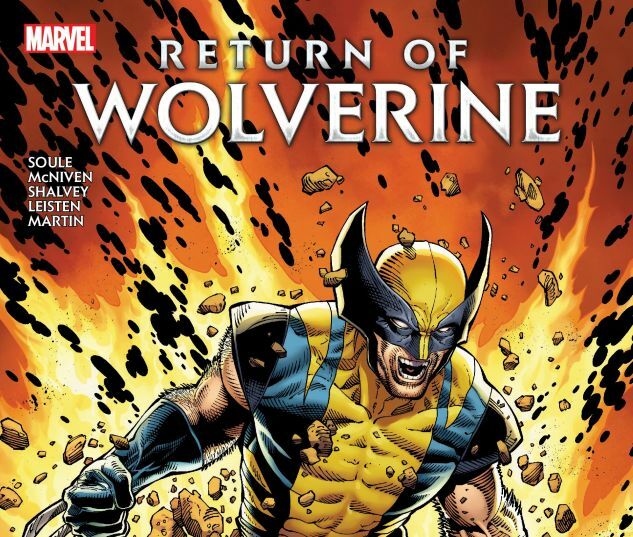 Collects Return of Wolverine #1-5. He’s back! After a long life of fighting the good fight, Wolverine succumbed to the inevitable. Logan was dead. But now, suddenly, he’s alive! How? Why? And how has this chilling experience changed him? 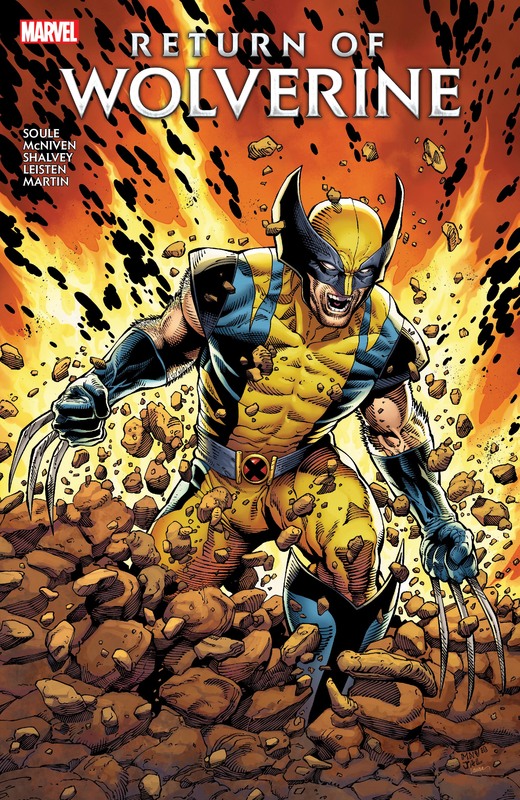 Wolverine awakens in a destroyed lab, his memories fragmented, his claws burning hot and his identity in doubt. What is the organization called Soteira, and what has its enigmatic leader Persephone done to Logan? 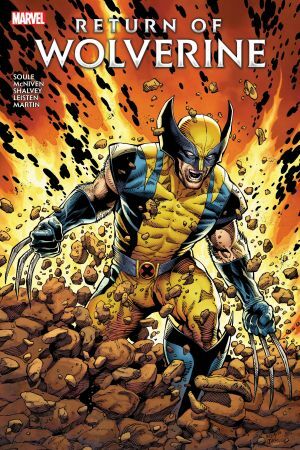 Wolverine may be back, but as he throws himself headlong into the mysteries around him, he may not remain in the land of the living for long. A confrontation with his oldest allies looms, but the X-Men have learned much during their hunt for Wolverine. Can he handle the truth of what he’s done? Now that Logan has risen, how far can he fall?